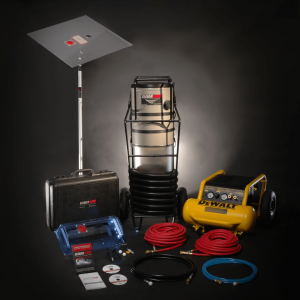 SaniJet is a game-changer, revolutionizing the duct cleaning and sanitizing industry. 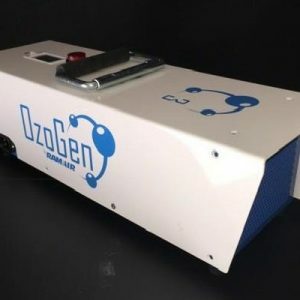 Until now, the only way to sanitize ducts was with a conventional fogger that relies on the HVAC system’s air handler to spread sanitizer through the system where it passes right through the ducts, fumigating the entire interior of the dwelling, settling on countertops, furniture, carpets, bedding, clothes, virtually everything in the home, except for inside the duct walls themselves. The SaniJet system solves this problem by using compressed air with a custom designed application ball dispersing an ultra-fine mist in a 360° pattern. This ensures that sanitizer is applied directly to duct walls and surfaces with complete control, for perfect coverage every time. 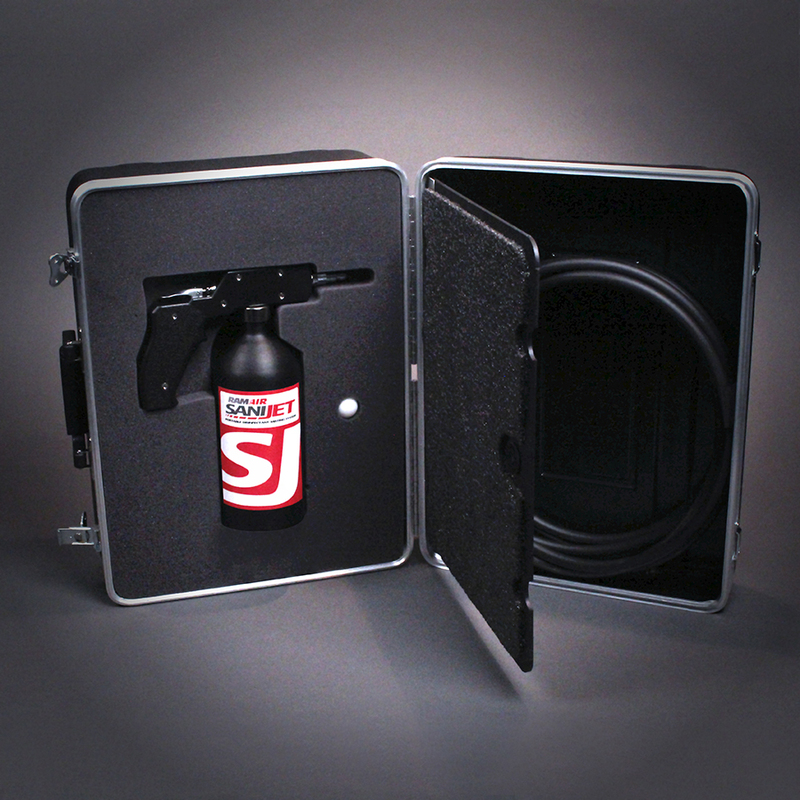 SaniJet’s patented, breakthrough technology is the next evolution in duct sanitizing. Clean and sanitize with SaniJet. 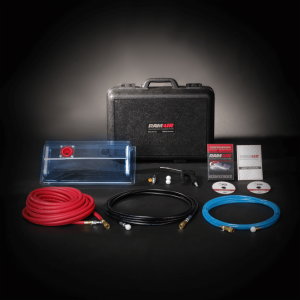 The SaniJet Duct Sanitizing System features an anodized aircraft aluminum canister, a fiber reinforced nylon / polyurethane coated hose, that is strong and rigid, yet flexible enough to penetrate deep into ductwork for a complete application of sanitizer. The blasting hose can also be disconnected, allowing the SaniJet to be used to apply sanitizer directly from its nozzle (commercial air handlers, inside walls [ie: mold remediation] etc). 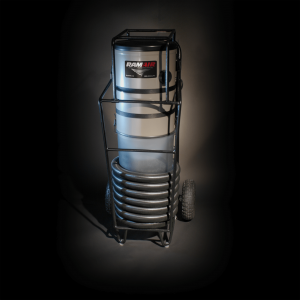 Duct sanitizing is the most profitable and overlooked add-on service in the duct cleaning business. 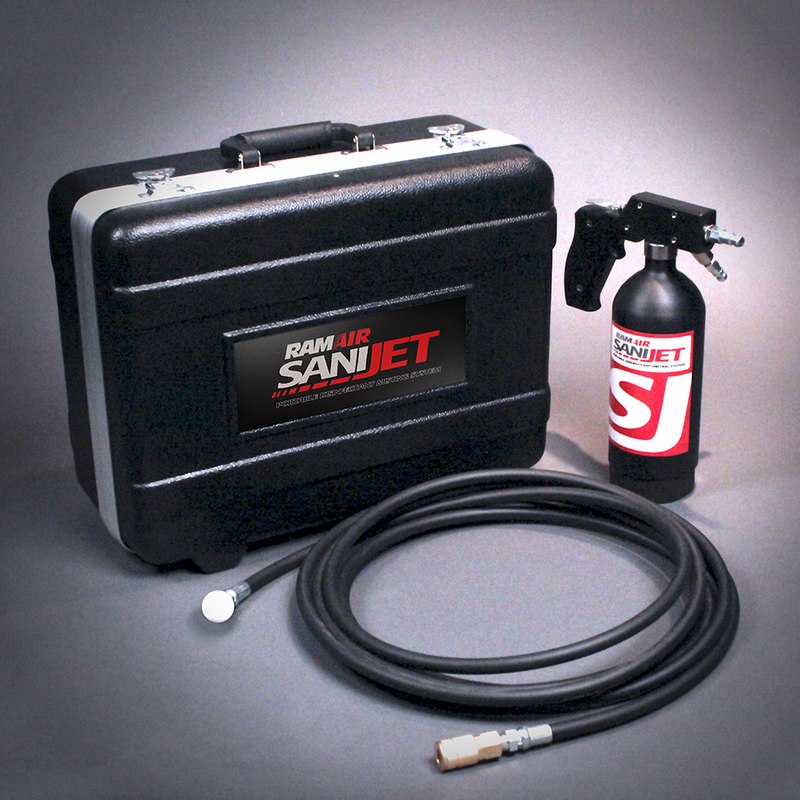 SaniJet will increase your profits and ensure high customer satisfaction.